In the early ’80s when James’ was only in his late teens, he decided to take his life into his own hands. James had enough of his family, of being moved from one place to another, and having to be brought in and cared for. He was pitied for being an orphan. He left his uncles home one early morning, with only some meat and half a crown in his pocket. He had the idea of walking to Portsmouth, to the seaside. He had no idea why, but the lust for adventure pulled him along. The adventure scared him. He was on edge for all the first day, the fear of being caught consuming his body. The policemen frightened him, and he set himself to avoid them. He did not eat; the concern was too much. He was uncertain of stopping anywhere overnight and ended up in a burnt down Inn alone in the end. However he felt free on the road and although he was scared he did not regret the journey. He knew he could do anything he wanted on his own, and the idea thrilled him. On the second day, James woke up early to continue his journey. On his way, he smelt bacon, and this made him hungry. He followed the smell, and it brought him to a field, here he saw caravans and horses grazes. He could not believe his eyes. A woman stopped him, concerned for his well being she provided him with tea, eggs and bacon, with motherly care she gave him more food than one person needed. Eager to make sure he was safe. James quickly noticed the circus were a friendly lot that looked after one another and being caring and giving to them, was natural. He was offered a job with them, and a place to live in the house on wheels, the caravan. James quickly fell for the lifestyle he had been offered. The people treated him kindly for they knew his background and taught him all they knew. He was “always willing and ready to learn” (P. 59), and they admired this and rewarded him for it. The Circus leader saw his passion and put him in charge of bringing the unneeded horses to a field to graze. James was also put in charge of bringing them back to the circus at the end of the day. James was committed and put his heart into his work. This caused him anguish; however, as one day, he came to the fields to discover his favourite horse had been poisoned. James sat beside the body and cried, this incident had hurt him immensely, and he blamed himself for the loss. James had a kind heart. Assael, B. (2005). The Circus and Victorian Society. University of Virginia Press. Denisoff, D. (2016). The nineteenth-century child and consumer culture. Diamond, M. (2004). Victorian sensation, or, The spectacular, the shocking, and the scandalous in nineteenth-century Britain. Anthem Press. Floyd, D. (2014). Street urchins, sociopaths and degenerates. Cardiff: University of Welsh Press. Vam.ac.uk. (2019). 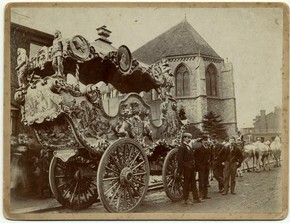 Victorian Circus – Victoria and Albert Museum. 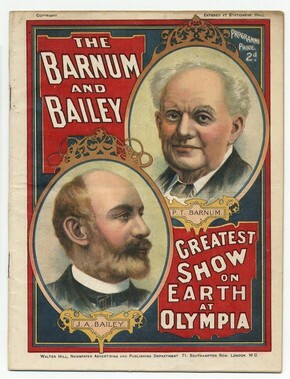 [online] Available at: http://www.vam.ac.uk/content/articles/v/victorian-circus/ [Accessed 13 Apr. 2019].